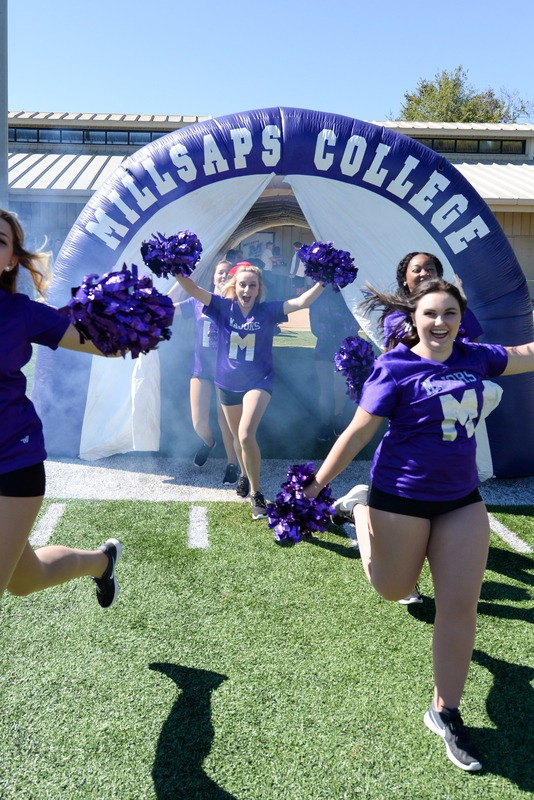 October 23-27 is Homecoming Week, and according to athletic director, Donnie Brooks, this will be the largest homecoming in Millsaps history. Photo courtesy of Millsaps Flickr. Immediately after winter break, the Millsaps Cheer and Dance team travelled to Orlando, Flor. to compete in the hip hop division of the United Dance Association and United Cheer Association competition. They were the first Millsaps team ever to attend this event, managing to practice for the event while dealing with an extremely busy fall semester schedule that also included performing at Millsaps football games. The Cheer and Dance teams practiced multiple times a week from Homecoming all the way to the end of the semester. After returning to campus from winter break, they practiced all throughout the first week of classes before departing for the competition in Orlando on Friday January 13th. The Cheer and Dance team had a strong showing at the tournament, making it to the preliminary round. The tournament was a combination of cheer and dance, and it was rare for the two teams to perform together. Coaches decided to put the two teams together due to the fact that the dance team contained just eight members, seeing the potential benefits of combining the two teams. Preparing for the tournament also helped the Millsaps Cheer team and the Millsaps Dance teams grow closer together, as it was the first time they had ever performed together. Senior Carley Thaw said that this tournament was a “trial run”, and they now know specific things to work on in the future. “I wouldn’t have known all the girls on the cheer and dance team (if we had not competed in Florida). Going through it all together helped us get closer,” Thaw said. Senior Tasha McGuire said that this was a “groundbreaking” achievement for Millsaps Cheer and Dance, since they were the first Millsaps team ever to attend the competition. Millsaps competed with teams from all over the country, as well as with Russian and Chinese teams. Millsaps had the smallest team in their small group division, competing against teams with 20-30 members with only 11 of their own. McGuire believes that this will be the first of many appearances at the United Dance Association and United Cheer Association competition for the Millsaps Cheer and Dance team. “I think that they will continue to go every year.The team will only grow from here and it will be something new that becomes a tradition,” McGuire said.